The journey began with a when the company’s founder, Mr Nicolas Boisvert, a resourceful cyclist who is clever with his hands, wished to protect his bicycles from bad weather during his recreational trips. He then designed a light, watertight swivel cargo box that can be mounted on a vehicle hitch without obstructing the rear view or the back doors, whilst being easy to carry and to put away with a small trolley. Since then, the moulded fibreglass structure has replaced the original riveted sheet steel structure and a number of items have been added to NICOVA’s product range, including the Coco Vélo and cargo boxes of various size. 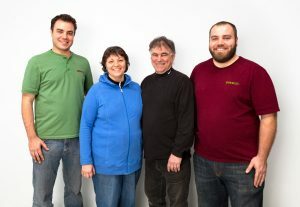 New owners take over NICOVA and continue improving and diversifying its products, designs and methods of manufacturing. Their many talents open the door to experiments: they create tailor-made products as well as new products while maintaining high quality.